Many people do not really know the difference between a Labrador and a Golden Retriever, and some may be unaware that they are two different dog breeds. Retrievers are a type of dog and are part of the Gun dog category of dog breeds. The Retriever dog breed was originally bred to fetch game for hunters, whether they were hunting on the land or in the water. The correct term for a Labrador is actually a Labrador Retriever, although they are often referred to as a Lab. 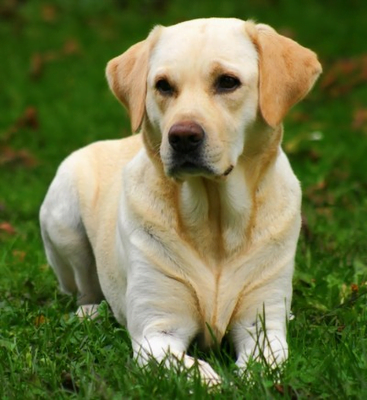 In terms of appearance, the Labrador Retriever should be entirely black, liver/chocolate, yellow or cream in colour although a white patch on the chest is not uncommon. Their coat will be short haired, flat and give a fairly hard feel to the touch. The Golden Retriever should range from dark golden to pale cream in colour. Their coat will be flat or wavy, but longer than the coat of the Labrador Retriever. Generally speaking, the Golden Retriever is usually the shorter of the two breeds. The true difference between a Labrador Retriever and Golden Retriever is not the coat colour or length (although this is usually how they are visully distinguished) but the ancestory. Golden Retrievers came from Scotland, created by Lord Tweedmouth, for the role of retrieving game and fowl in the field. Labradors are from Canada, and were first used by Canadian fishermen to jump overboard and bring the nets in (which is why they are excellent swimmers). It is merely coincidence that they look similar, and now that both breeds are popular pets or trained to the gun, more people get them confused. Labradors are more common and popular than Golden Retrievers so Golden Retrievers are often mis-labelled Labradors. I think Labradors are much friendly,reliable and loyal than golden retrievers,and aah how can i forget LABS are much more cuter.They do not need much grooming as compared to golden retrievers. 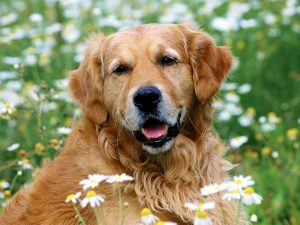 goldens have long hair which shed very often..and thus is a breed you have take care of very much. my fiance says they are the same even with proof that they are 2 different breeds.